Are you looking forward to a slew of new gaming experiences down the road with the hot selling Sony PS4? Well, we have good news for you. 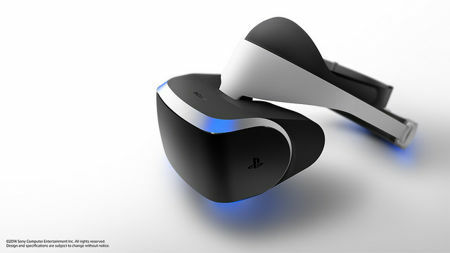 From the floor of the Game Developers Conference 2014 , Sony has taken a step forward in an attempt to breathe new life into the world of gaming by introducing Project Morpheus, which happens to be SCE’s prototype virtual reality (VR) system that will play nice with the Sony PS4. It does seem as though SCE has placed a whole lot of emphasis on virtual reality in order to move the game industry forward, and Project Morpheus happens to be an innovation that SCE clearly believes is capable of shaping the future of games. The new technology that is implemented in Project Morpheus is said to be able to deliver a sense of presence, where as a player, you will actually feel as though you are within the game, and your emotions would definitely be a whole lot more real than ever before. I am quite sure that giving a runout on Project Morpheus would be a whole lot more different than Nintendo’s Virtual Boy which was a failure. The existing Project Morpheus prototype comes with a head mounted display with 1080p resolution and a 90 degree field of view. There are also accelerometer and gyroscope sensors built into the head mounted unit, while the PlayStation Camera is capable of accurately track head orientation and movement. This translates to the fact that as your head rotates, so too, will the image of the virtual world rotate intuitively in real-time. Apart from that, Project Morpheus also boasts of the new 3D audio technology that re-creates stereoscopic sounds in all directions and is capable of changing in real-time, depending on your head orientation. Other than playing nice with the PlayStation Camera, Project Morpheus will also work alongside DUALSHOCK 4 Wireless Controller and PlayStation Move to deliver an easy-to-use, plug-and-play VR experience.